Attention-deficit/hyperactivity disorder (ADHD) has received increased scientific, clinical and public attention over the past few decades. It's the most common psychiatric disorder in children – affecting 2% to 16% of the school going population. Our research found a prevalence rate of 2.5% among the more than 500 children we screened at 13 schools. However, most of the children referred to us were in their foundation phase of schooling – that's, aged between about 5 and 14. It's possible that many of the children in the higher grades may also be struggling with ADHD and other mental health disorders but were not referred. More significantly, our research shows that there are very low levels of awareness among teachers who had very stereotypical views of how ADHD presents itself. There was a lot of stigma attached to the condition. It was also clear from our research that various government departments which should be working collaboratively – such as education, health and social development – are working in silos, each with separate processes and procedures. This hinders the provision of services for children. Although there are mental health clinics in the public sector, children with ADHD and other mental health disorders often never reach this point of diagnosis and treatment due to poor service delivery. And on the schooling front, the Department of Basic Education requires that children first be assessed and assisted by school based support teams before they are referred for treatment. These teams are responsible for, among other things, identifying children's needs. In collaboration with teachers, they should assess individual pupils and provide support where necessary. However, 61% of the children were directly referred to the not for profit organisation by teachers. That's because the school support teams were not functional in most of the schools which we visited. The NGO visited 18 schools and 13 participated in the screening. 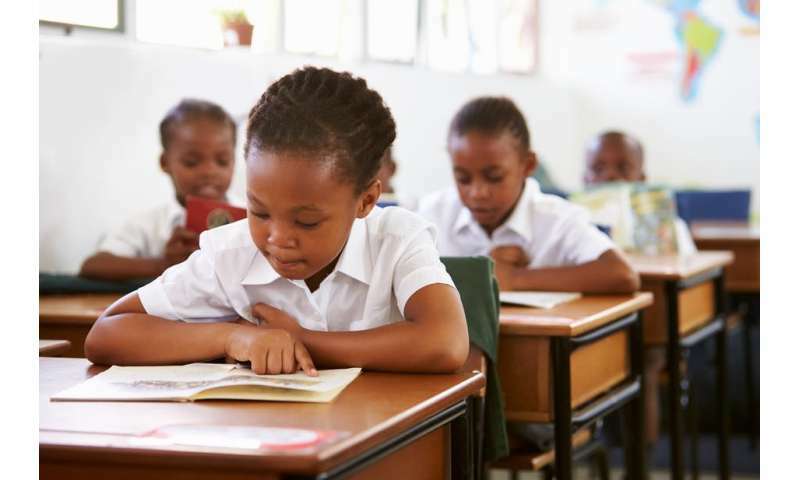 The schools are located in the Metro North Educational District in Cape Town and are all in underprivileged areas where no school fees are being charged. Just more than 500 children between the ages of five and 14 years were screened. They were referred to the NGO for screening by teachers due to learning difficulties (86%), behavioural problems (41%) and emotional difficulties such as anxiety or depression (33%). More than 50% of the children referred to the NGO presented with ADHD, or symptoms that suggested they may have the disorder. In the total group of screened children 4% had been previously diagnosed with ADHD. We have referred 67% of the children for further evaluations to confirm diagnoses or to exclude other conditions which can "mimic" or accompany ADHD, while 10% of the children were referred back to the support teams without any intervention other than recommending school support and parental guidance. The prevalence rate of 2.5% is lower than the international prevalence rates of 5% to 16%. This may reflect a number of factors, including a lack of awareness of the disorder, misconceptions about the disorder in the community and stigma. Other factors that could have affected our findings were that teachers opted not to refer any children – possibly because of their workload. There was also a tendency to refer children who met the "classical" picture the public has of ADHD: a naughty, hyperactive boy. This would have led to silent daydreamers – usually girls – not being identified. Mental health clinics do exist in South Africa's public health sector, but children with ADHD often never reach this point of diagnosis and treatment. Although medication plays and important role in the treatment in some of these children, behavioural interventions as well as educational and emotional support are also crucial. The results from our study highlight the need to raise awareness and reduce stigma. Collaboration between government departments are crucial to reduce, and remove, mental health barriers to education. Early diagnosis and intervention is essential to prevent long term consequences.